Quetzal popular for its stunning plumage and long tail feathers. Quetzal is considered one of the most beautiful birds in the world. It has immensely coloured plumage with iridescence green or golden-green wing coverts, back, chest and head, while red in its belly. They are fairly large with size up to 32 cm (13 in) slightly bigger than any other trogon species. They habitats ranging throughout mountainous rainforest of Central America where they prefer the high mountain ranges at altitudes of between 4,000 and 10,000 feet. These areas are highly in moisture and cooler with dense vegetation. 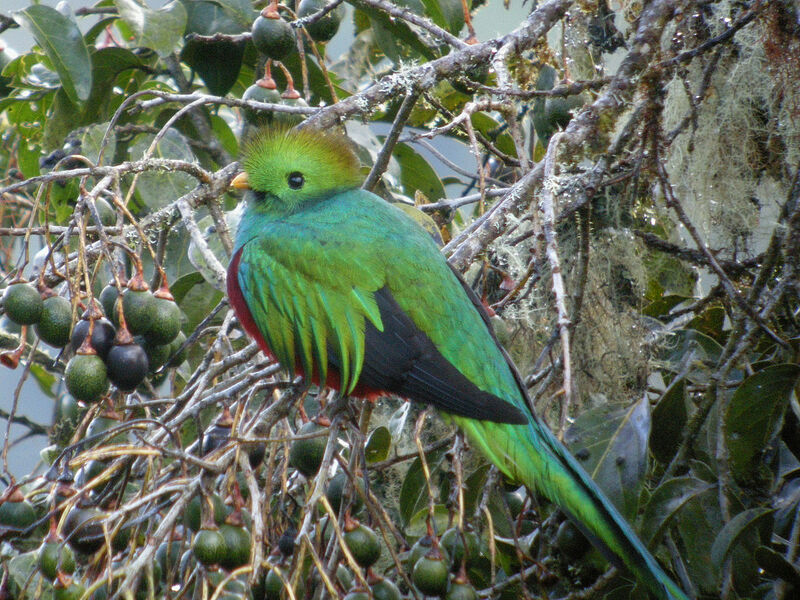 High moisture level too will form great deal of fog and these types of areas known as the best place for quetzal to live and breed. Perching on the branch of tree in its clouds forest. Flying out of its hole. 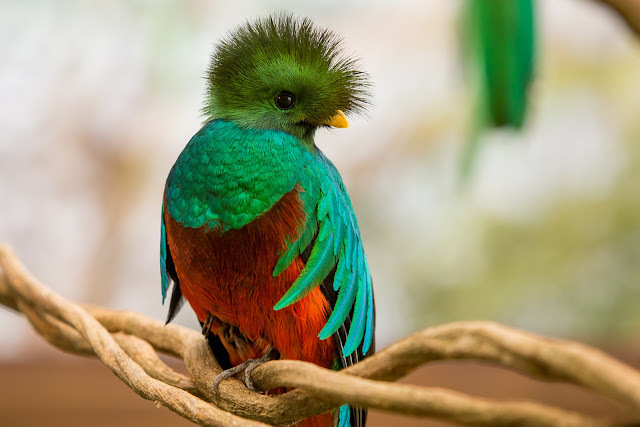 Even though “quetzal” mostly used for the resplendent quetzal, the long-tailed quetzal found in southern Mexico and Central America, which is also the national bird and the name of the currency of Guatemala. Now it is also referring to all other species of the genera Pharomachrus and Euptilotis. They are strongly sexual dimorphic where the females’ plumage are only brown and grey. 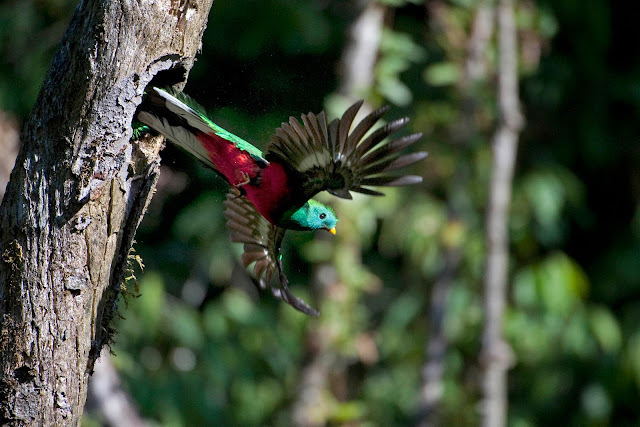 They live high in the trees close to the top of the canopy in the hole where they either built it using their powerful beaks or ones that have been abandoned by woodpeckers. 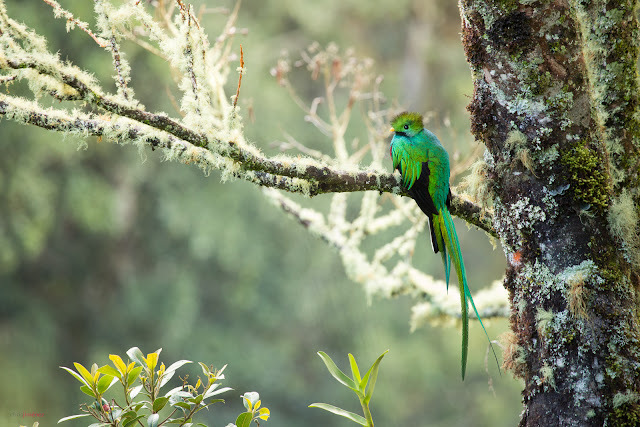 With their striking colours of plumage, quetzals are perfectly camouflaged in the dense vegetation of the rainforest. 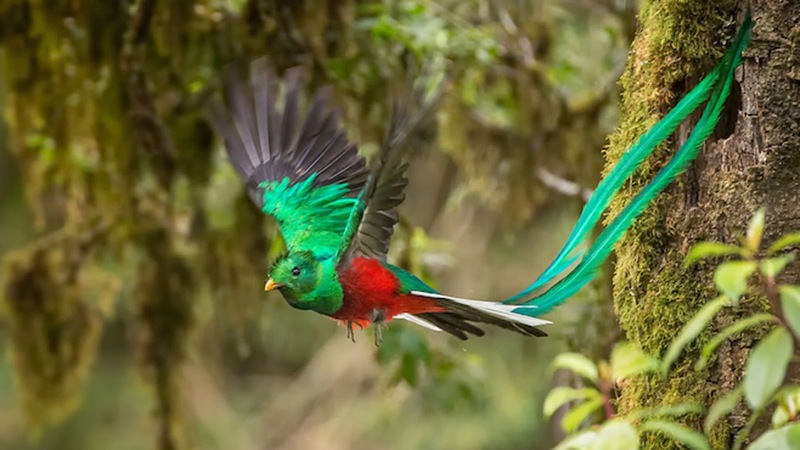 Quetzal in omnivorous and also skilled hunter that capable to swoops its prey before eating whilst still in the air. They also prefer fruit-based diet from vast numbers around fruiting trees. They diet will change to small animals including insects, lizards, frogs, snails and larvae to provide nutrition for its body needs. As any other birds in the forest quetzal also play bigger roles in dispersing the seeds from fruits and berries throughout the forest from their droppings. Although the quetzal known for its long tail feathers, they only grow when the males reach their maturity estimated at least three years. 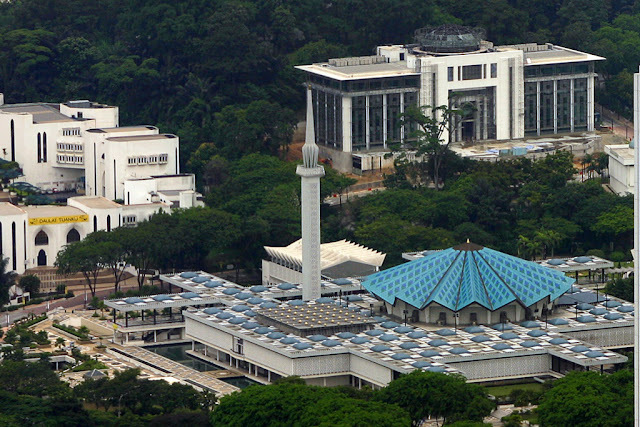 It can also be longer for some individuals. Anyway, these long tail feathers can reach length up to 1 meter long against its body around 35 cm (average). Well there are many other interesting things to know about this beautiful bird. So if you have something to share about it, please write it down in the comment area.